Choosing a new garage can be a gamble for people, so by making their first consultation free, you can make that initial meeting much easier. Cowboy mechanics have understandably made many wary, and nearly everyone has a story about leaving a garage and finding their car is more broken than it was to begin with. First impressions are important. If a new customer comes to you and you can instantly reassure them with the quality of your service, you could have a loyal customer for life. Car and van problems can cause people a lot of stress, particularly when it’s essential for them to get to work. With dropping temperatures and tougher conditions, winter is when many people experience problems with their vehicle. Advertising a free winter car check demonstrates that you’re keeping an eye out for them when the weather’s at its worst. Forming a reputation as a trustworthy garage that can predict problems as well as solve existing ones ensures your customers think of you first. They might even make their winter car check a yearly habit, knowing it saves them money, time and stress. Tradespeople are often recommended and referred, because reputation can be an even more influential factor than price for some. 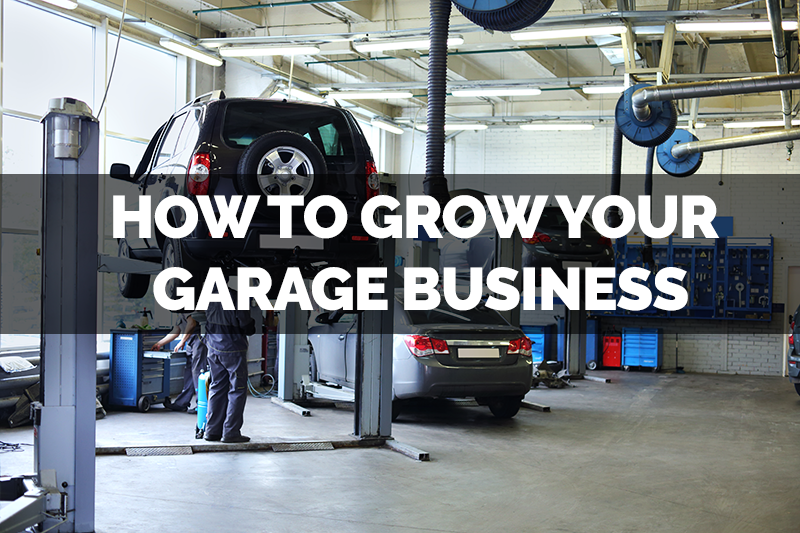 If people leave your garage with clearly diagnosed problems, a perfectly running motor, and great service from knowledgeable people, they’re bound to tell others about it. Recommendations will set you apart from competitors who are waiting for customers to come to them, rather than proactively keeping their vehicles running smoothly. Your budget doesn’t need to be massive, but you do need to focus it on specific areas that will have the greatest success. Pay-per-click (PPC) advertising takes some setting up (you can definitely do it yourself, but you’ll need to read up on it), and can target very specific keyword searches and locations. Social media ads are similar in that they’re targeted based on location and other demographics, but they’re much easier to jump into as a beginner. You can make it easy for people to book their free check and capture their email address at the same time, making future marketing a lot simpler. Digital efforts should be matched with more traditional advertising, particularly if you know your target audience is your immediate, local community. Flyering and leafleting that explains the benefits of a winter car check could attract people who usually wait for their car to go wrong before they address its general maintenance.